Winter is coming, and with it Christmas. We know that casinos usually give their customers special offers for these dates. Here you will find some of the promos offered by our Accredited Casinos. Unfortunately, not all casinos make their offers calendar public, as this can generate expectations for their clients that only on many occasions the same day of the offer is revealed. 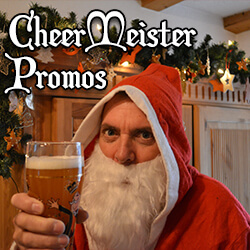 Here you will find our exclusive promos for this month of December, only for our Casinomeister members, To be able to enjoy these promotions you must be a member of our forum and meet some requirements detailed on the promos. December is here and its soon Christmas and what would Christmas be without an Exclusive Promotion for all Casinomeister members that have done at least 1 post between the 1st of January 2017 – 30th of November 2017. 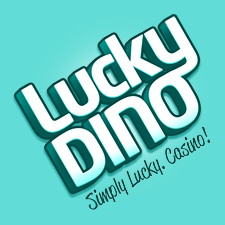 100 free spins to a PlayNgo slot of your choice if you make a deposit of minimum €25. Videoslots will in the end of the month reward the top 4 players with the biggest win from their 100 free spins that they have received from this promo and posted a screenshot of the final result in the official thread. The biggest win will be calculated on the highest total amount multiplier. Videoslots will also give €50 to the player with the worst result! All in all – £300K Gift Party!! December 4: Every 100th depositor gets their deposit doubled up to $1,000 no WR! They’re running daily leaderboards to find out who’s been especially good (at spinning those slots). Between 1st – 15th December they’ll be running daily £1,000 or £2,000 leaderboards, which will be shared out in bonuses to the top 100 players! Collect fantastic Christmas Gifts by beating Christmas Bosses! Christmas Island is now live and we invite You to come play and explore our generous winter wonderland. The more Bosses you win, the better Gifts you will get! Unwrap them on Christmas Eve! Every Friday Santa’s Little Elves are dishing out express FreeSpins on your favorite games, and you have the whole weekend to claim them! Codes are updated weekly so keep your eyes peeled for codes to use weekly throughout the festive season! Don’t miss a single treat from Santa! Opt-in each day by picking your offer and unlocking it! Captain Rizk and Lucky the Super Dog would like to invite you to celebrate the holidays with a new present where the top prize is worth £100 every day from 00:01 GMT until 22:59 GMT on 24/12. This is how it works. Every Sunday until Christmas they are giving our players the chance of choosing an offer that suits them best! Each day a new free spins bonus code is revealed, which is valid on that same day only (starting 6 am CET). There is no playthrough, keep €1 per bonus code and collect up to €25 from the Advent Calendar Campaign! The Golden Euro Terms and Conditions apply. Say goodbye to the 12 Days of Christmas, this year we’re breaking all the rules by throwing a month-long celebration where free spins, iPhones and TVs will be popping up all over the place. Buzzed for the festive season? 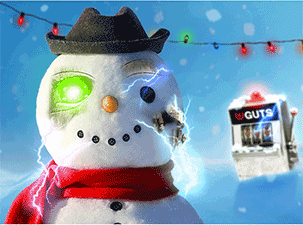 Go walking in a Wired Up Wonderland with Guts over the festive period, and you can win electric gifts from a€600,000+ prize pool every single day! – Mystery Cash Races worth over €100k. Play selected slots to trigger highly charged cash prizes. – Christmas missions – complete tasks over set dates for turbo-boosted cash wins from a prize pool of €180k. – The December Tournament Series – power up leaderboards running on select dates throughout the month for a share of over €150k. – Enjoy daily offers throughout a buzzing month of sport. – Weekly free/extra spins specials. €500,000 IN TOURNAMENTS, CASH RACES AND MISSIONS! The festivities are back! With one of the biggest celebrations upon us, we at EuroLotto are embracing the magic of christmas and offer you a chance on one of the highest prize pools out there – €500 000 altogether! Santa Claus has three different gifts for you! Which offer is on your wishlist? You need to login every day to casino to receive and claim a personal message about your daily gift! Between 1st – 15th December they’ll be running daily £1,000 or £2,000 leaderboards, which will be shared out in bonuses to the top 100 players!